One of my favorite Ghanaian expressions is “small small” or “bayla bayla” as it’s known in Dagbani. Ghanaians use this expression all the time. Let me give you a few examples. You go to a chop bar in Tamale to get waakye, a local, favorite dish of rice, beans and other delicious, spicy toppings. The woman working at the chop bar starts to serve you waakye and motions towards the palm oil. You say, “small small” to mean just put a little, not too much. 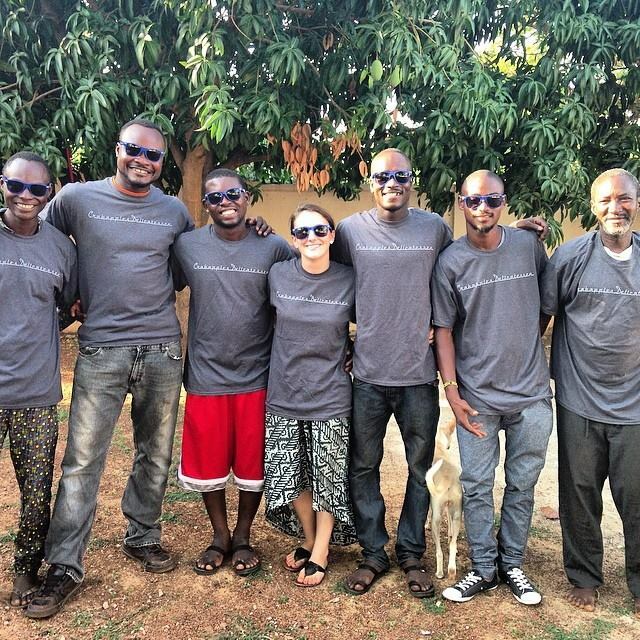 Or you are learning Dagbani, the most widely spoken language in Tamale, trying out some phrases with Dagomba friends. They say, “Oh you try” and you respond, “small small”. You are a CWS field staffer riding around on motos day in and day out. It just so happens you need to replace the piston and the rings on the moto. The fitter (mechanic) tells you to move “small small” so that the moto will be “free”. The list goes on… What I’ve taken from this whole “small small” business is that as long as you are moving “small small”, you are moving forward! 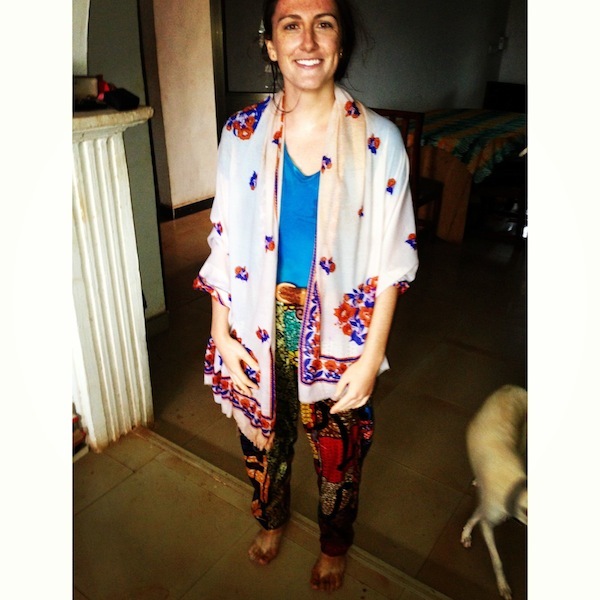 When I moved to Ghana in June 2012, I did not think I would live here for 2 years, although I am very happy now that I did. 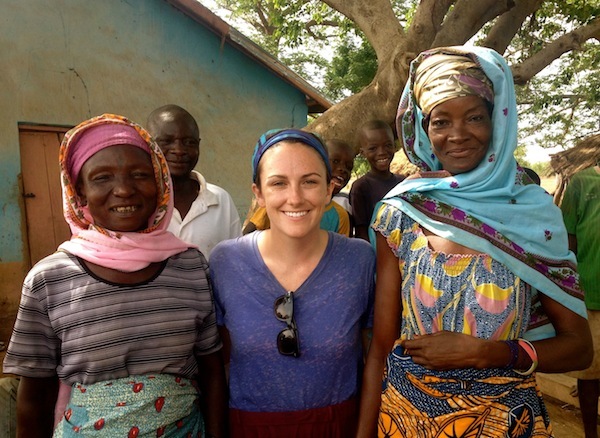 It all started “small small”… learning to ride a moto, figuring out where to buy food, navigating Tamale, learning Dagbani, working with the CWS team, meeting the entrepreneurs for the first time, encountering various challenges in the CWS communities and out on the “rough roads”. In the beginning, I didn’t feel like I was adjusting well. I found the heat unbearable, I felt lonely, I did not think I was qualified for the position but I kept trying and moving “small small”. 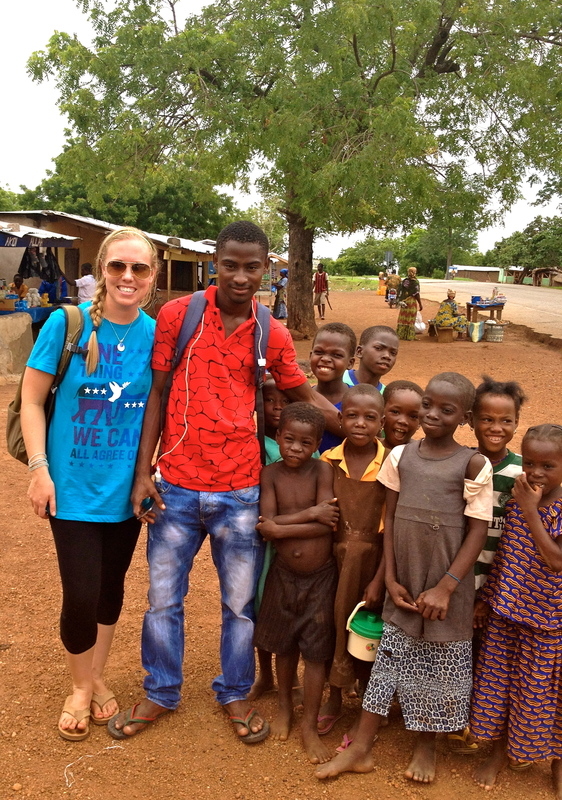 And “small small” turned in to feeling comfortable in Tamale, being confident in my role at CWS, truly enjoying my work and getting to know my coworkers, developing good relationships with the CWS communities and entrepreneurs and feeling like I was positively contributing to this idea and project greater than myself. This upcoming September I am heading to Dublin, Ireland to get my MSc in Global Health at Trinity College. 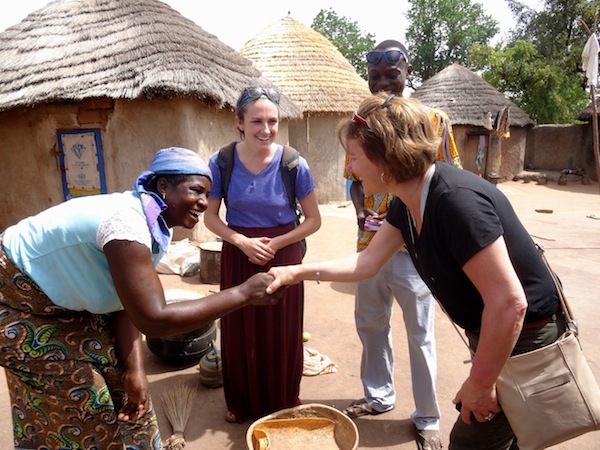 I hope to focus on women’s health and technology in developing countries. 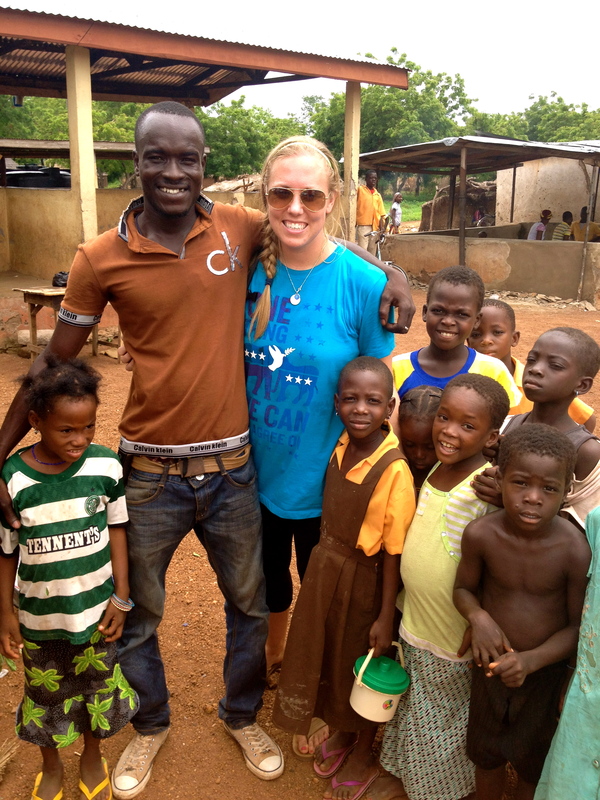 I know I would not be on this path if it were not for my experience with CWS in Ghana. 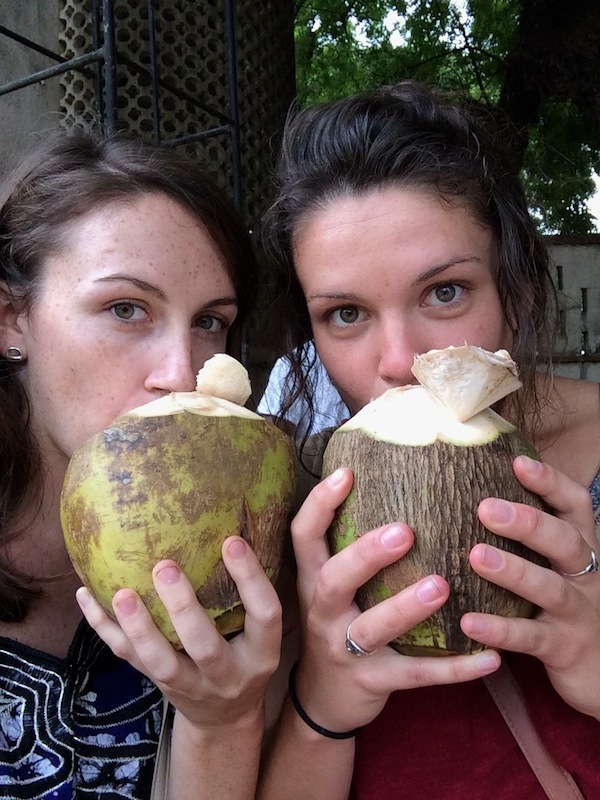 So without more small small babble… here are some pictures looking back on the last 2 years. The “small small” moments to the big ones. A big thank you to my CWS family: Kate, Sam, Kathryn, Chelsea, Shak, Peter, Wahab, Amin, Eric, Mark, Yacabu, the CWS board members, the fellowship translators, the fellows, the fellowship taxi drivers and all of the CWS partners for this fantastic opportunity. It has been a pleasure working with you! To all my friends and family who supported me and continue to support me, thank you! It has been quite the ride. 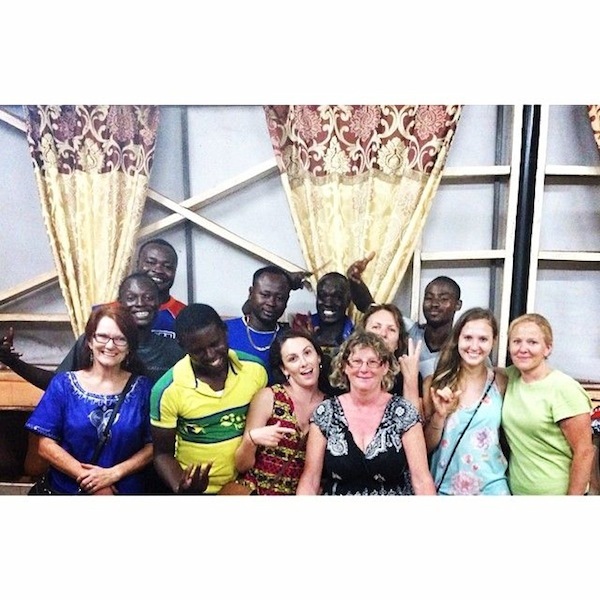 Ghana, I will miss you-ohh! Until next time. 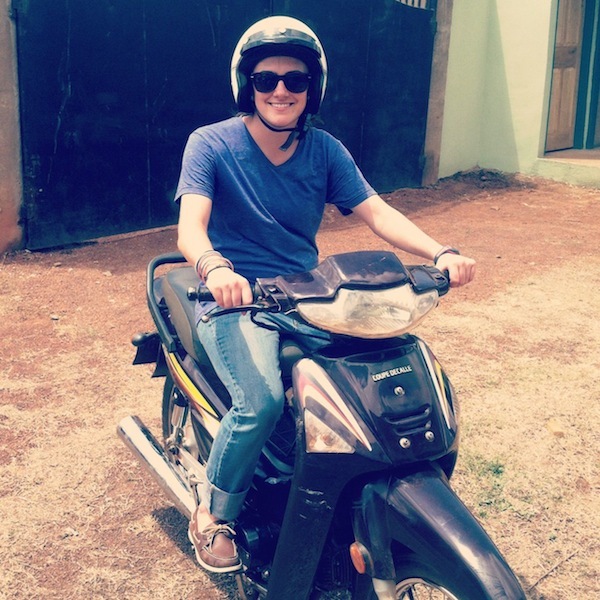 Back in Ghana June 2012 – learning how to ride a moto for the first time. Thank you Madame Kathryn! 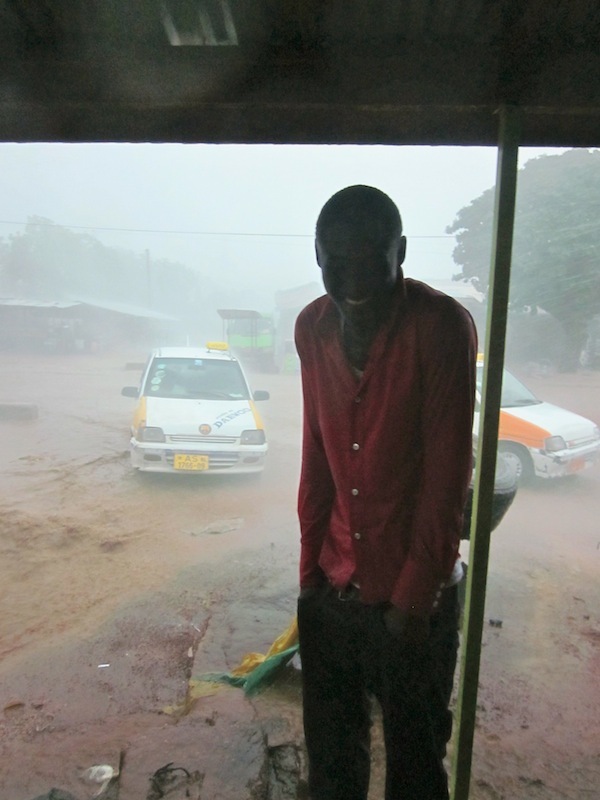 My first week as Ghana Country Director, Wahab and I were caught in a CRAZY storm! We were under that roof taking shelter for HOURS. I thought every day of the rainy season was going to be like this… little did I know! 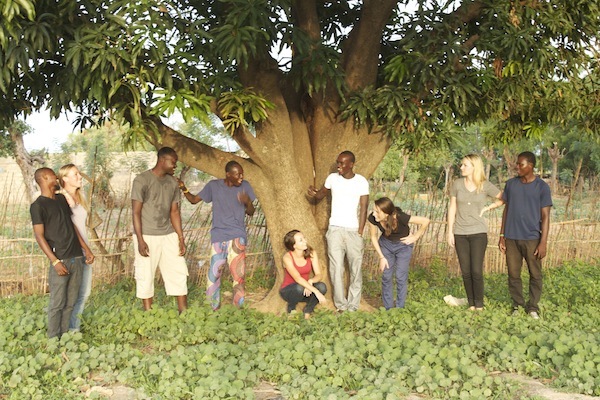 On Peter’s corn farm in Libi! Madame Kathryn’s final solute… now not looking so final!! 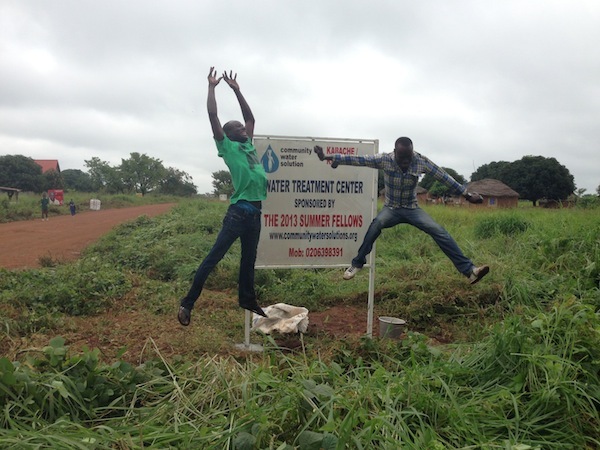 Eric and Peter jumping picture in Kabache/Kasawuripe monitored from the Salaga office! 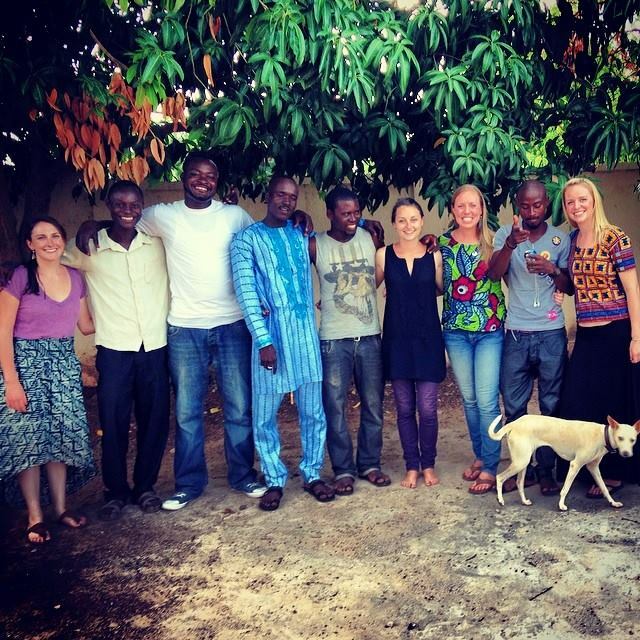 My family comes to visit in April and hangs with the staff at How Cool Joint in Tamale. Ow ow! 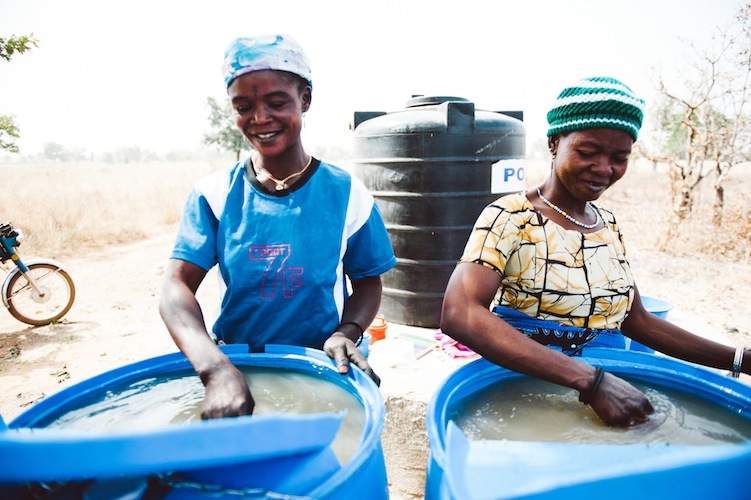 Azara, me and Mariama, the water business women in Kpachiyili. 2 years after opening day! My sister Danya comes for the summer 2014 fellowship program!! 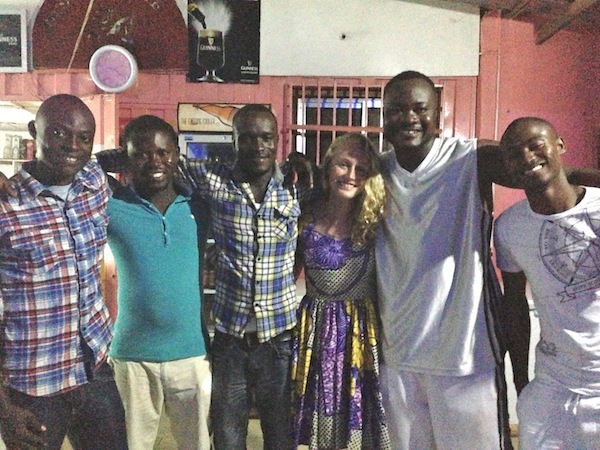 This past June I got to lead 8 wonderful fellows in Salaga with Blessing and Peter! Kata, me and Sam. It has been so much fun working with you both! 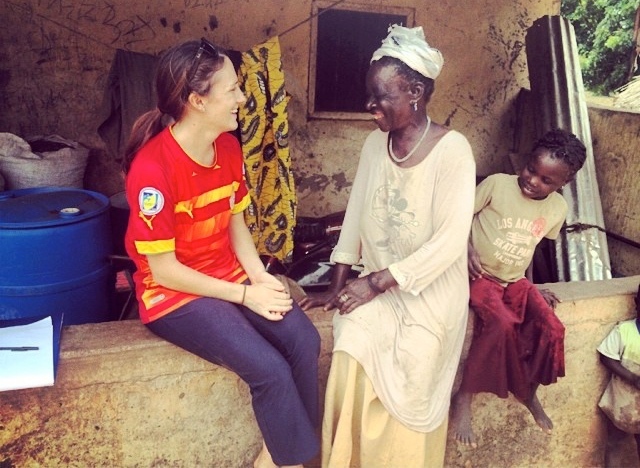 Passing off the “torch” to the new Ghana Country Director, Chelsea Hodgkins! Rain, Rain Won’t You Stay? 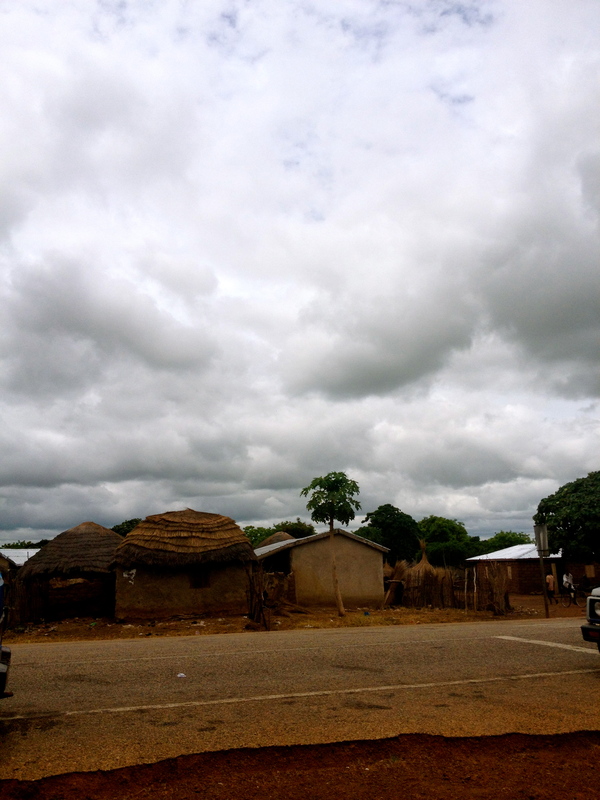 While it may be summer where you are, in Tamale, the rainy season is in full swing. There are two seasons in Ghana – the rainy season and the dry season. So the terms “winter, spring, summer, fall” don’t mean much here. The rainy season usually lasts from June until October and August is the month when the rainy season is in full force. This year Tamale is not getting the rainfall that it normally does in August. It has been raining here about once or twice a week at most in comparison to last year where it rained heavily almost every other day. Rain is crucial for several reasons. 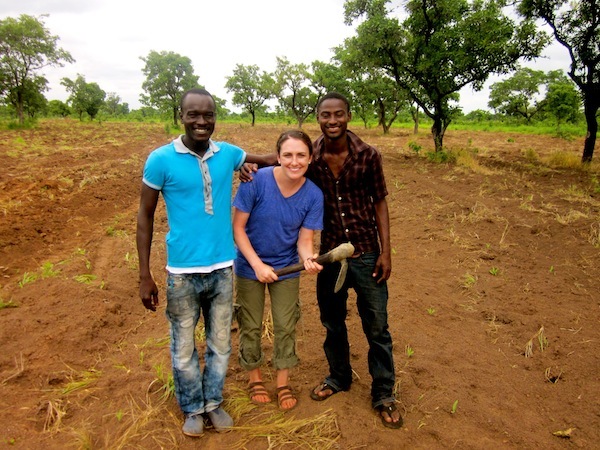 Most farmers plant their crops (yams, cassava, groundnuts, corn, rice) at the beginning of the rainy season and rely upon the rain so that their harvest will grow. 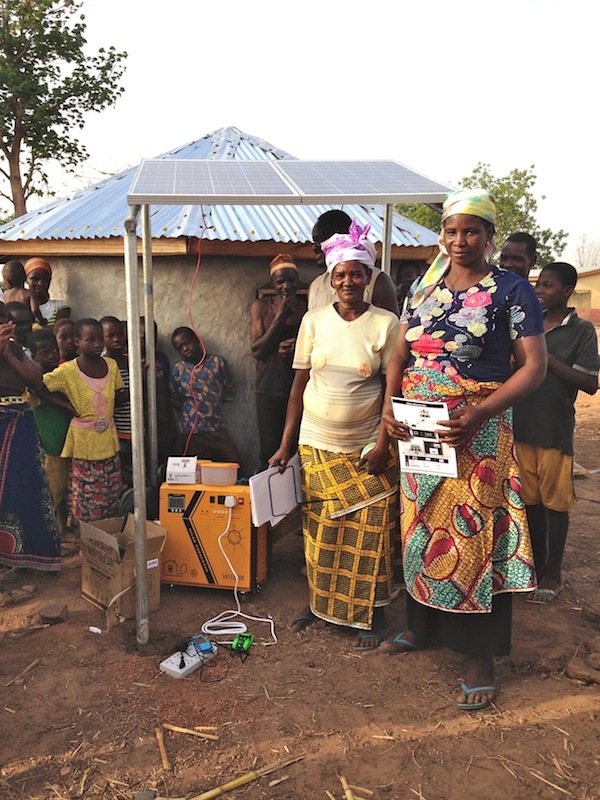 Irrigation systems are not common among these rural, subsistent farmers. The rainy season is also a nice break from the brutally hot sun that Ghanaians endure for most of the year. The flooded road to Buhijaa. Amin contemplating– to cross or not to cross? 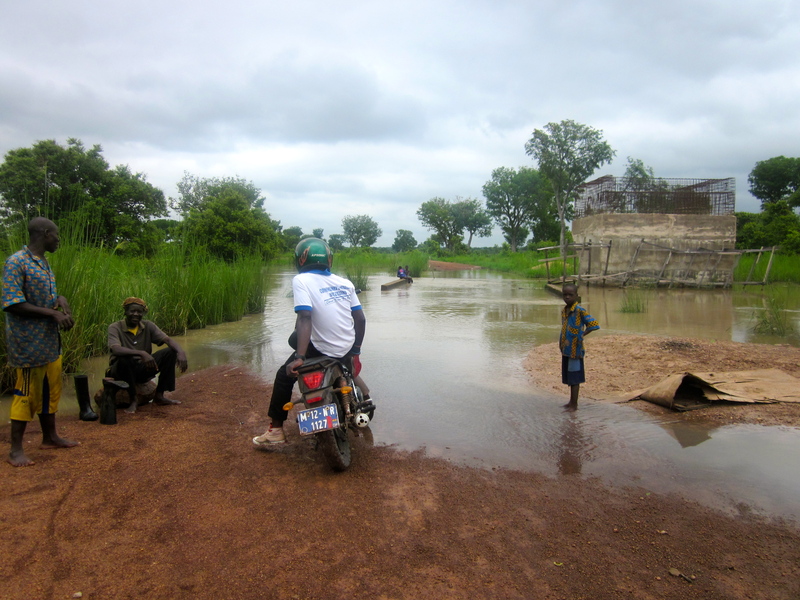 After talking to the boys on the road, we opted for the latter when they told us that a moto had just stopped working after being submerged in mud and water. Until next time Buhijaa! This woman in Gbandu keeps tally marks on the wall behind her safe storage container to track how many times she has gone to buy water since opening day! For CWS villages, the rain is very much in line with drinking water. 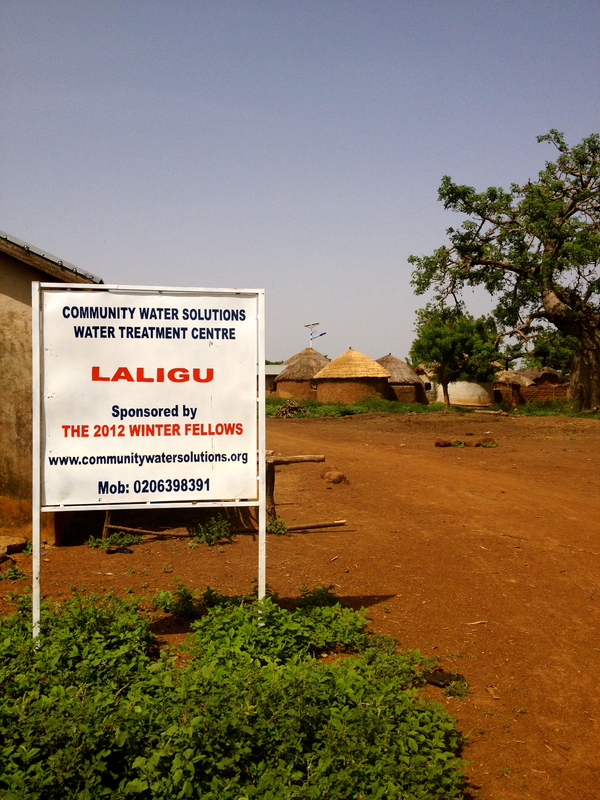 All of the 38 CWS communities rely upon surface water (usually in the form of dugouts) in order for their water treatment centers to function. 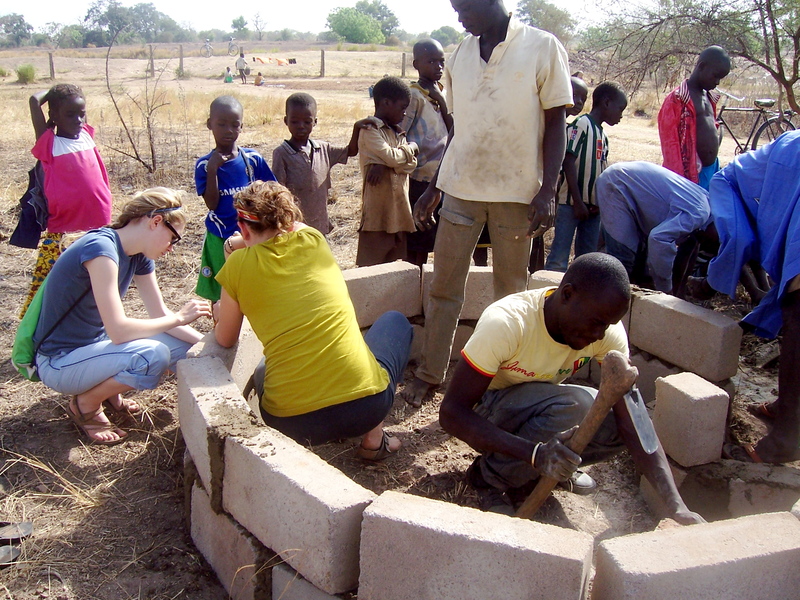 When it rains, their dugouts fill with water and when it does not rain, this increases their chances of their dugout drying up during the dry season. 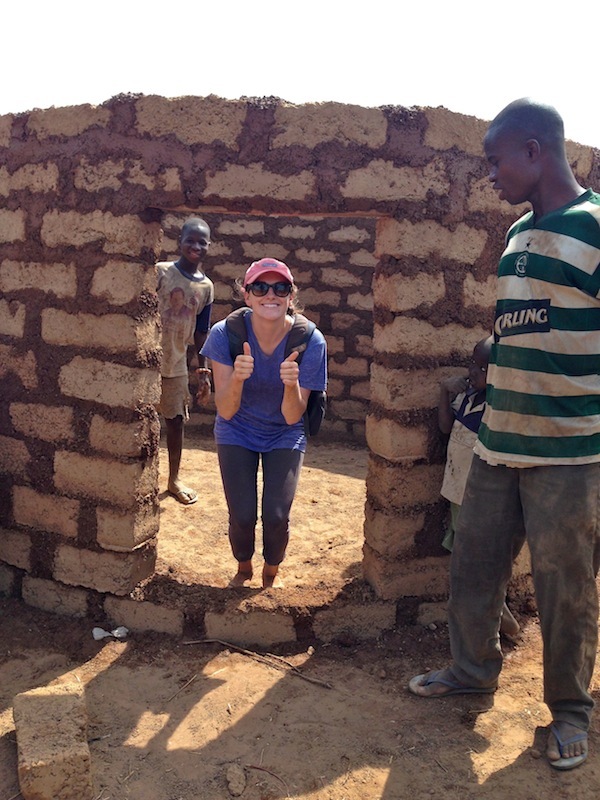 A dry dugout means no water to treat, which means a closed water treatment center. For example, in Kpachiyili, a village that was implemented in during the winter 2012 fellowship program, they have not been getting much rain. The water level of their dugout is much lower than it usually is this time of year. And their dugout is not the only one. Rain dance anyone? 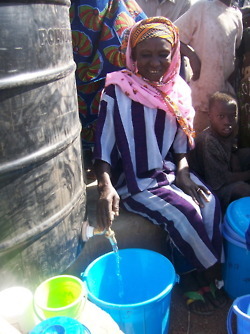 Sana, the lady who runs the water treatment center in Yapalsi, gives Amin fresh milk to bring home. 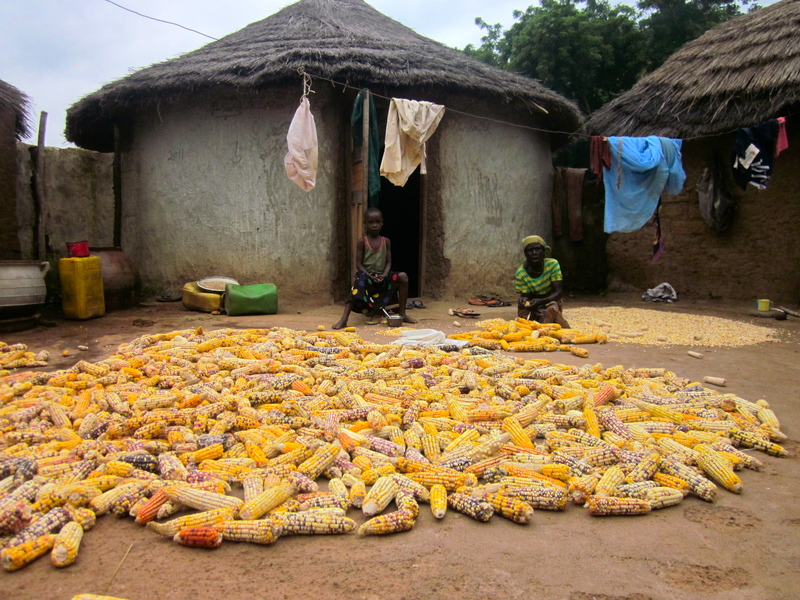 Corn harvesting has just begun in Gbung! 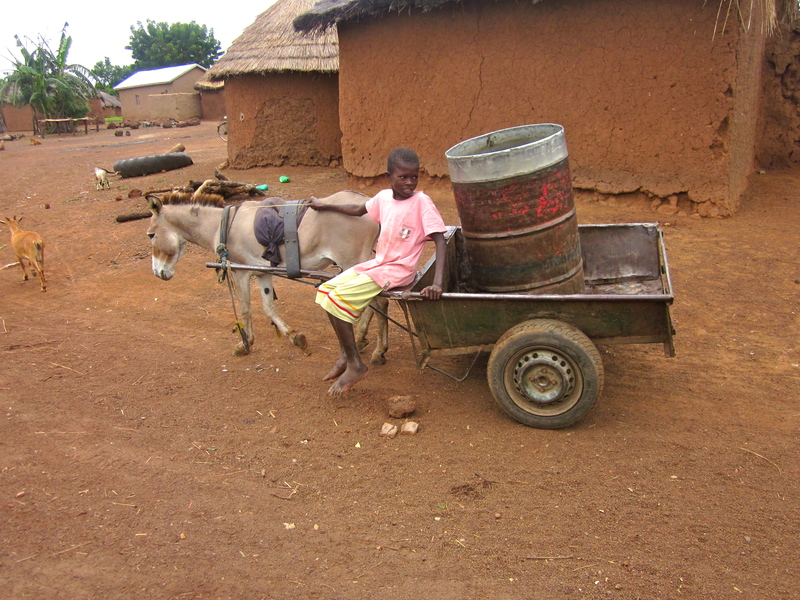 A donkey businessman in Kpalung— this boy carries water from the dugout for Azaratu to treat at the water treatment center that is now in town. In June, this businessman was charging 60 pesawas to fill one 200 L drum of water, an obscene amount considering what Azaratu rakes in! After holding a village meeting, this donkey man is now filling free of charge in exchange for his family to use the center for free. Many of the CWS villages (but not all) also have households that have at least one tin roof that they use to harvest rainwater. 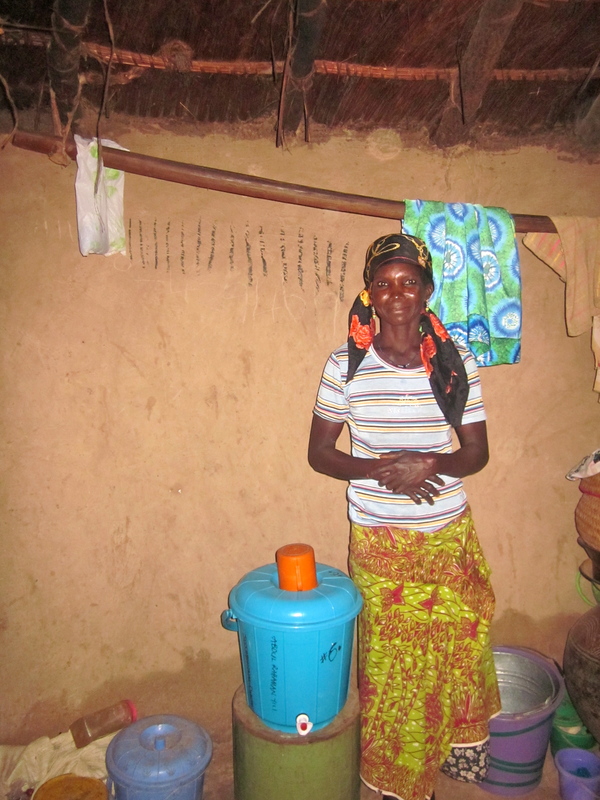 So many of the villages will collect rainwater with their safe storage containers to drink and rainwater with their pots for cooking, cleaning and washing. At this time of year, the rainfall is usually so frequent that people can rely upon this system to harvest drinking water. 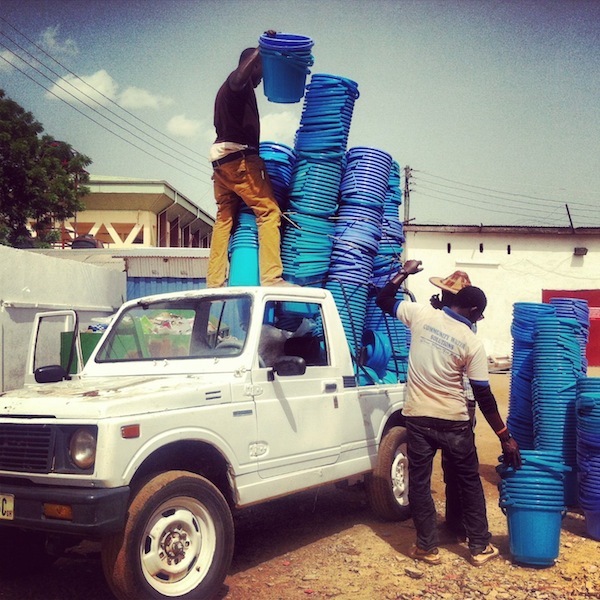 However, now that it is not raining as often, their 20 L buckets of clean rainwater run out before the next rain comes. 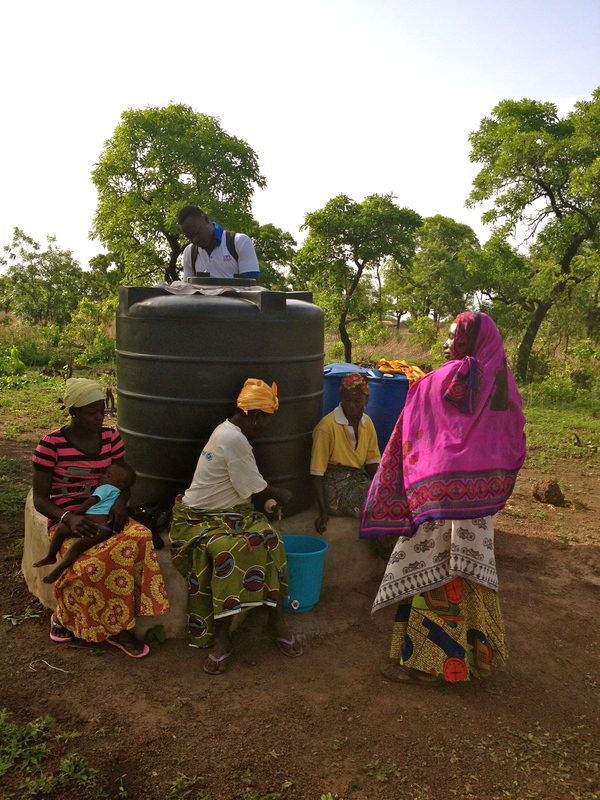 In several CWS partnership communities, such as Jerigu, Chani, Nyamaliga, Kpalung, Laligu, Libi, Kagburashe and Kpanayili, the CWS field staff has encountered households that transfer rainwater collected from their pots (that they also use to hold dugout water) into their safe storage containers. This is a big red flag –contamination alert!! And the water samples taken from these containers almost always come back positive for e-coli. 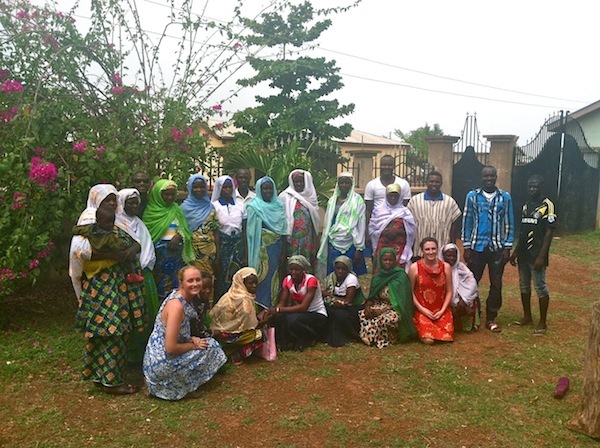 Wahab posing with Fuseina, the lady that runs the water treatment center in Kurugu Vohoyili, and some of the women making Shea butter! 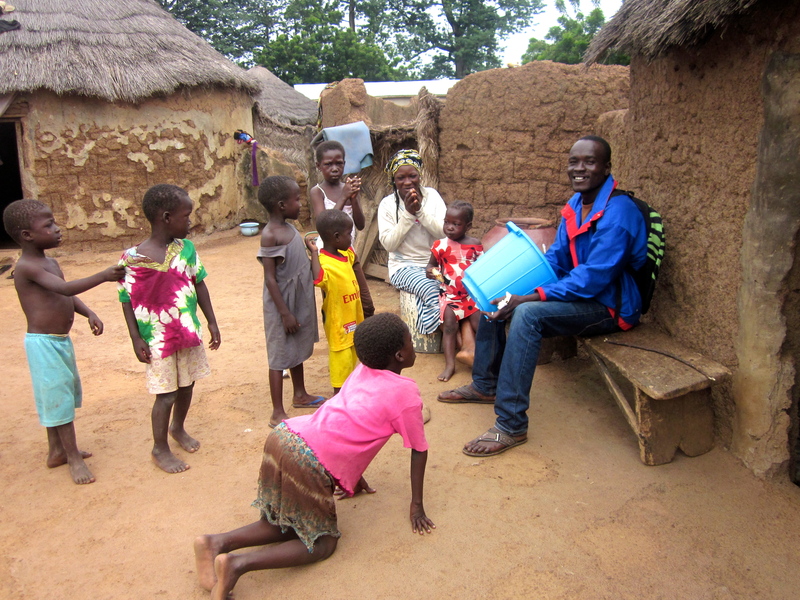 The CWS field staff has been upping the household visits, encouraging people to buy drinking water from the water treatment centers rather than wait for a rain that may or may not come. 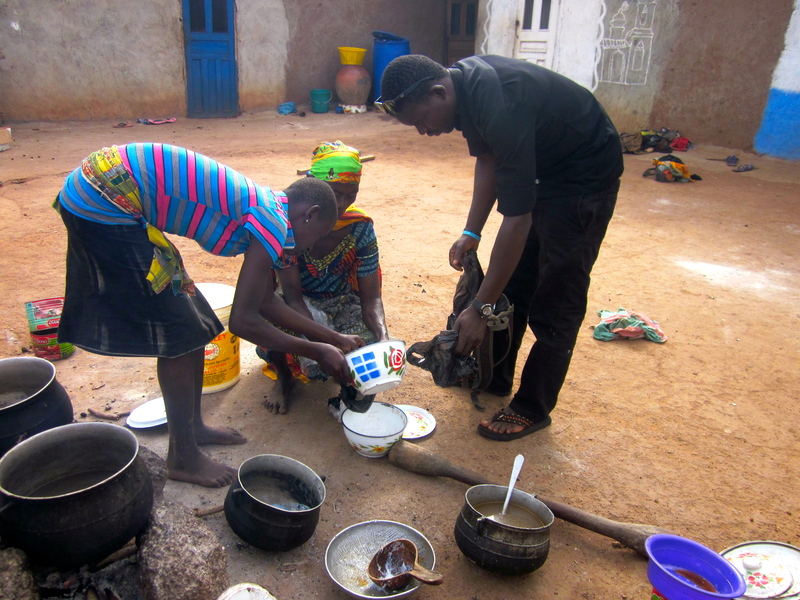 The households that do this are usually unaware that their water is contaminated. If the rainwater looks clear, then how can it be contaminated? 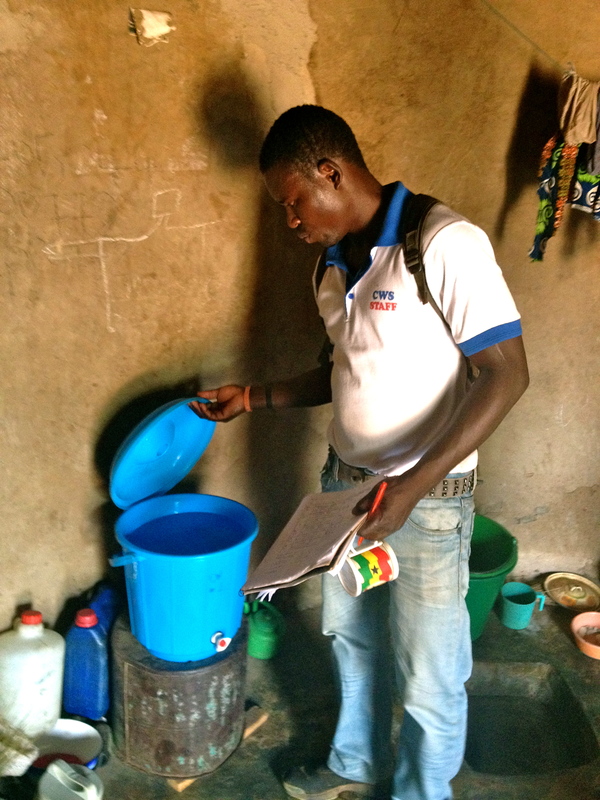 To address this issue head on, CWS field staff, Peter, Shak, Wahab and Amin, have proposed starting short, simple educational presentations to hold in classrooms and in village meetings, to promote germ theory awareness in villages where this has become a problem. As of now, we are all praying for rain in Tamale, more updates to come. 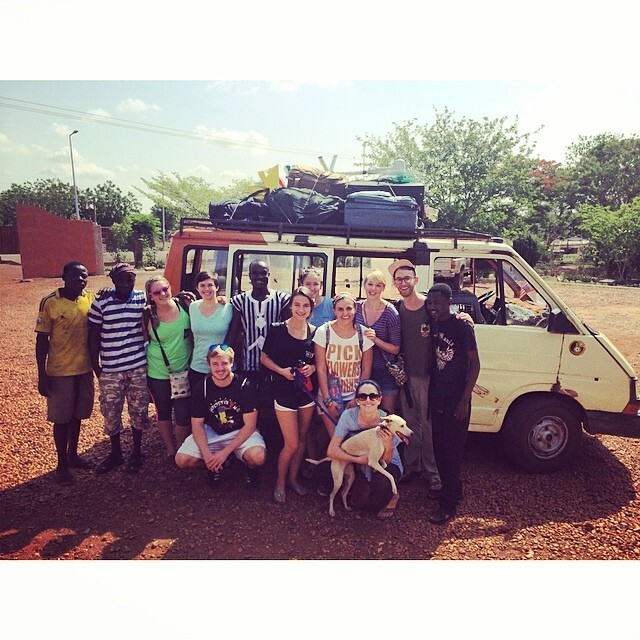 I have officially been in Tamale for a week now, and what a week it has been! 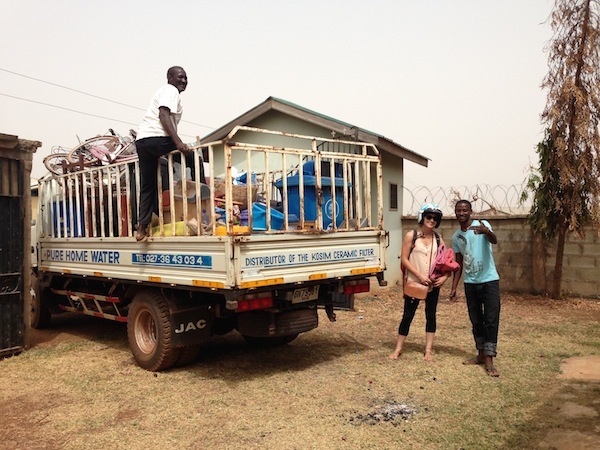 After spending a few days getting the office all ready for the Summer Fellows, I headed out to the field to help Shak, Peter, Wahab and Amin monitor some of the newer villages that I had never been to before (crazy!) 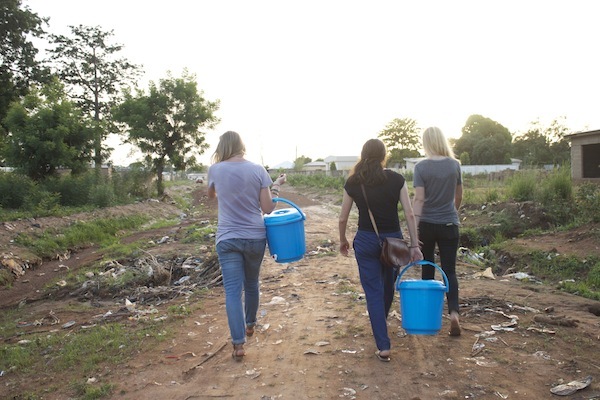 It was so much fun to be back in the field and to see how awesome the water businesses are doing in these new communities! Over the past four days I visited Yapalsi, Laligu, Kpalung, Kagburashe, Libi, Gbung (an oldie but goodie), Sakpalua, Buja, Kadula, Kpaniyilli, Kurugu Vohoyilli, and Kpachiyilli! Everyone in Laligu was asking about the 2012 Winter Fellows! 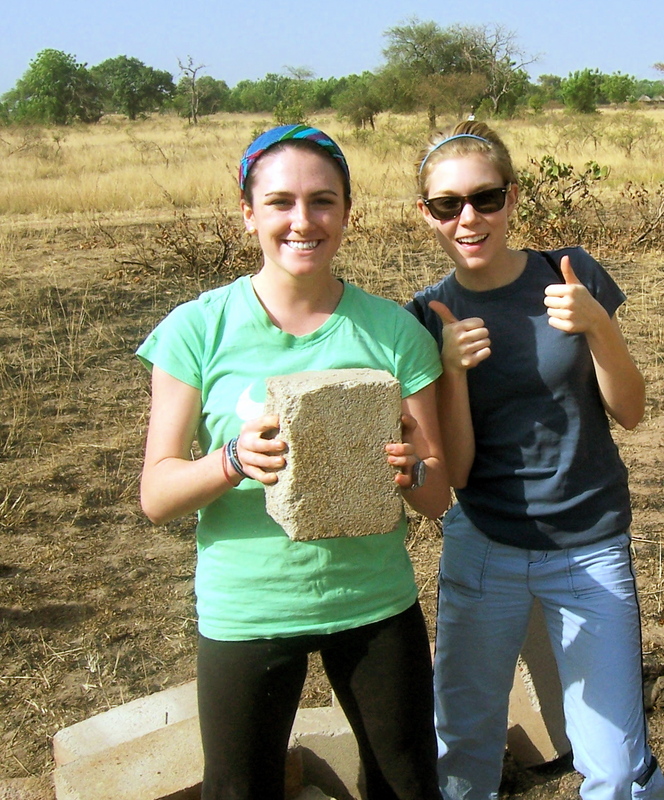 Today was one of the most exciting days so far for Team D because it was the first day of building! As we pulled into the village, Kpachiyili, the children were all together near the entrance, Peter, our translator, told us that they were there waiting for us. All of the villagers were smiling, waving and genuinely happy to see us. We greeted the chief and then got right down to business. 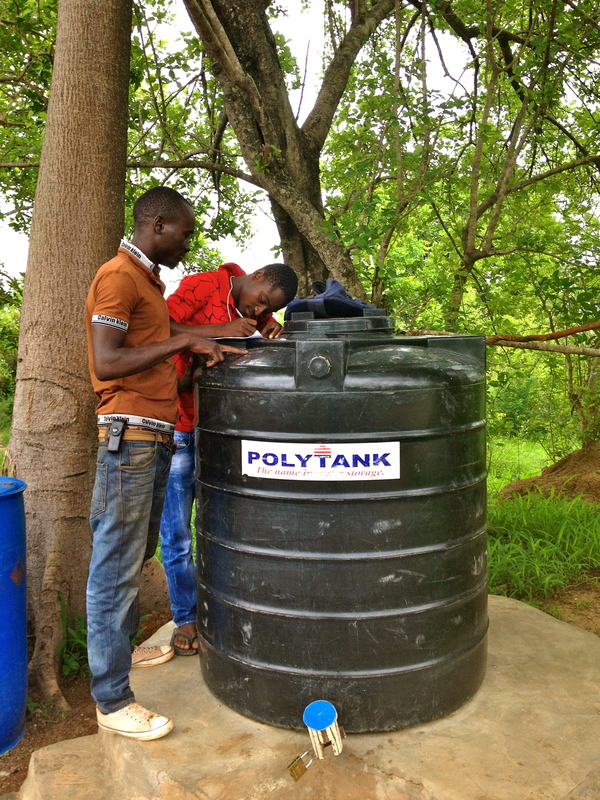 In our past meeting, we decided to build the polytank stand in an area near the dugout that does not flood in the rainy season. Some men came with us in the truck to help build the stand and the children surrounded us as we began to work. Peter wanted music, so we brought the speakers outside and all of the kids sat down right next to where the music was playing. We unloaded all of the supplies from the truck and Peter drew a design in the sand for where the bricks would go. He made the design in the shape of what looked to be something like an igloo. The men laid the bricks and mixed the cement. Then Peter showed us how to use to the trowels to put the cement in between the bricks. He let all of us help. 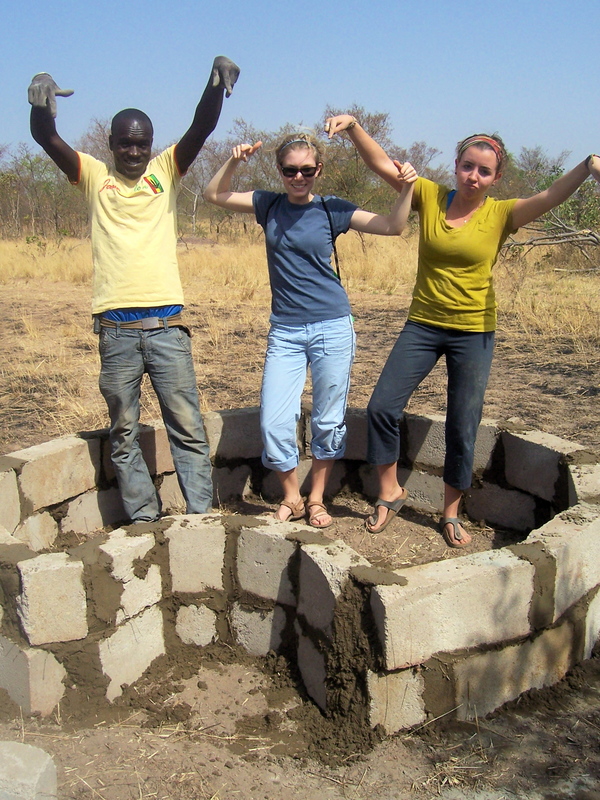 With the help of the villagers, we built the initial part of the polytank stand. The process did not take as long as I expected and we were done within an hour. It was awesome getting to see the fruits of our labor! Before we could move on in the building process, we have to wait for the cement to dry. Tomorrow we are going to fill the base of the stand with gravel and then plaster the entire thing so that the polystand will be able to sit on top. Brianan and Larissa working extra hard to build the polytank stand! Sarah, Larissa and Peter at work with the trowels and the cement. After, we went back to the chief to tell him what we had accomplished and that we would be back tomorrow. We sat on a bench facing him and he gave us some chief wisdom. 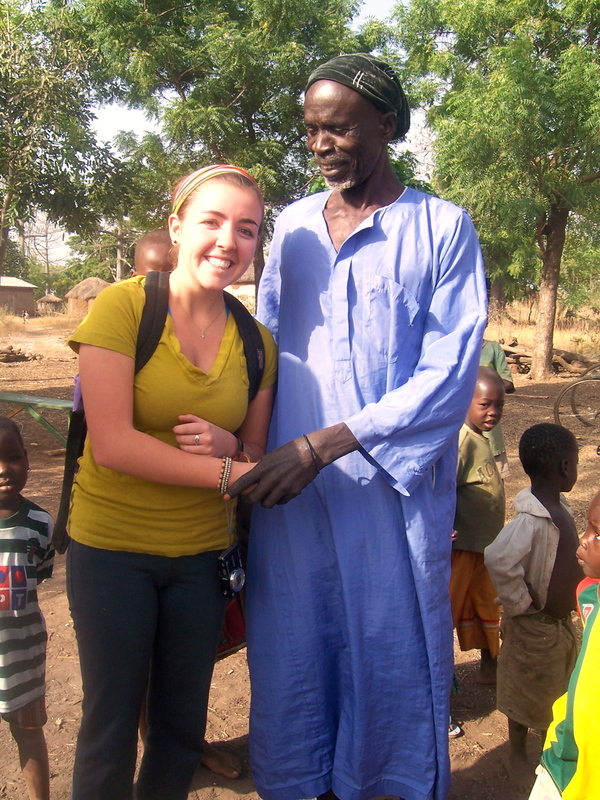 He told us that you must live your life through goodness and try to pass on good to others. Although we must live through goodness, he said that this goodness is the work of God. The chief always likes to relate everything back to God and the will of God. He said that he hopes that someday the children of his village will be so educated that they will get to leave the village, travel and develop their skills so as to eventually better the village. The chief puts much emphasis on education and the welfare of the children. He is awesome! The first part of the polytank stand is complete. WOOHOO! When the chief was done sharing his wisdom with us, something unexpected happened. A boy brought a live chicken to our meeting with the chief. 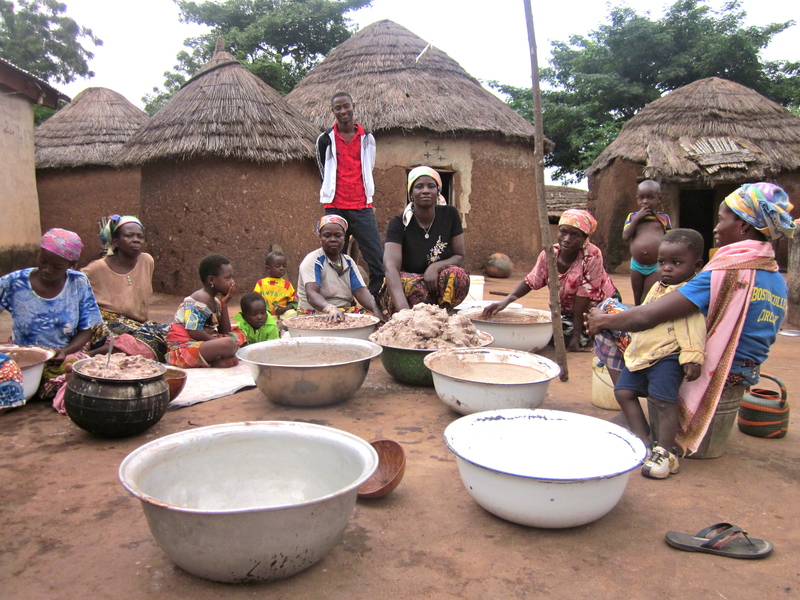 Peter said that the chief and villagers wanted to prepare us some food but they were unsure of what we ate. So instead of preparing something, they decided to give us this chicken. The chief thanked us and the boy gave the chicken to Mark. The chief continued by saying that we must all eat this chicken and it will give us the strength to finish our work in the village. He also said that before we eat this chicken, we must thank our parents for helping us get to where we are today. If we do all of us this, he said that all of us will someday find wives and husbands. Peter nicknamed the chicken, Mr. Coq. We were all so excited and shocked to receive such a gift. 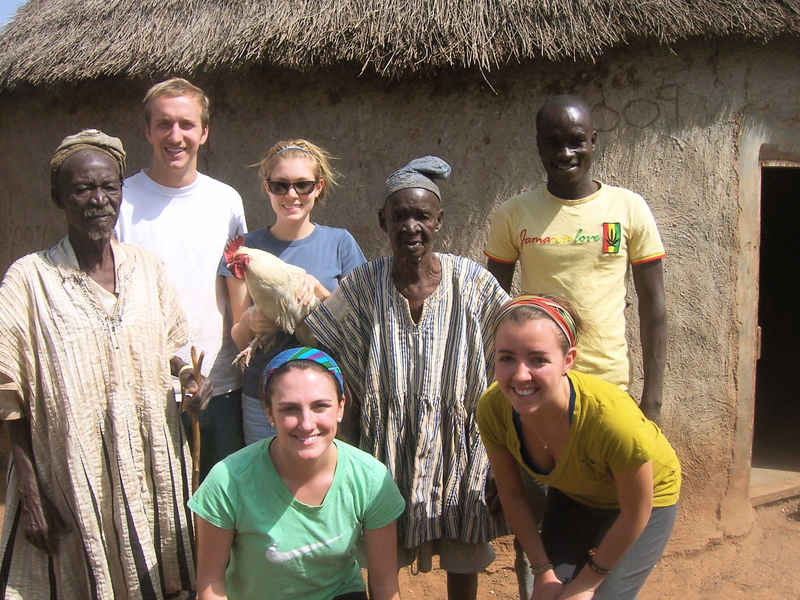 We asked the chief to take pictures with us and the chicken and he agreed. After, we showed the chief the picture and he shrieked with excitement. He said, “Oh this makes me too happy”. What an unforgettable day. Finally it was time for us to go and Mark held the chicken on his lap (which later pooped on him, ha!). All of the children chased the truck down the road as we left the village. This has been the best day of the trip so far. Peter’s mom is going to prepare Mr. Coq for us tomorrow for Mark’s birthday; it will be quite the feast!